As some of you know Kyle Stoneham, Chris Clarke, Danny Clark, Miles Burridge and Mark Dell are representing TBYC at the Moth Nationals this week and the worlds next week at Hayling Island. 140 have entered for the worlds meaning this is the biggest moth event in history. Along with an amazing line up of sailors including Olympic medallist, World Champions and Americas cup sailors. The Sandhopper Nationals will be held at Thorpe Bay Yacht Club on Saturday 21st and Sunday 22nd September. NOR, SIs and entry form are attached. Please note that the briefing on Saturday has been put back from 10.00 to 10.30am. Don’t forget, to compete in the National Championship the helm must be at least an associate member of the SCBA. If you have not joined this year, contact Janet Willsmer 07969 598309. Mo and David Hopper are representing Britain and Thorpe Bay Yacht Club in the 29er World Championships currently being held on 27 July to 2nd August in Aarhus, Denmark. 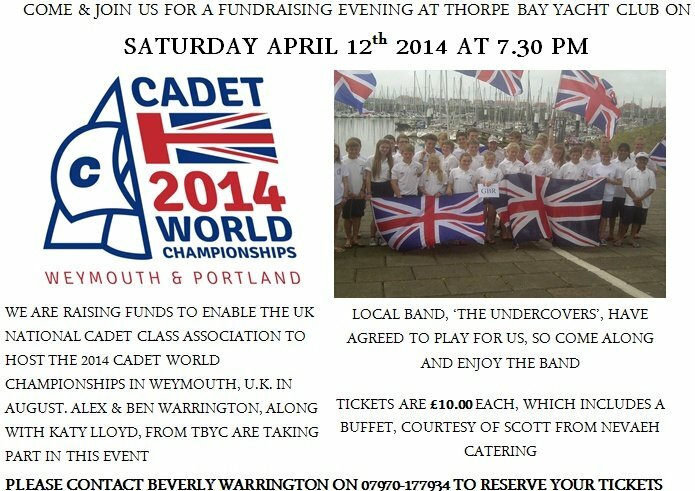 From all the members of TBYC – good luck to you and the rest of Team GBR at the event. Who else remembers the ICC Trophy racing at Thorpe Bay? Brought to my attention by Barry Duce and Robin Foster-Taylor, Thanks Guys. Hi All, for all you armchair sailors, and following popular demand I am sponsoring a trophy for the best placed TBYC virtual boat in the game. For those of you who have not entered or who do not know about it, then here are a few facts. 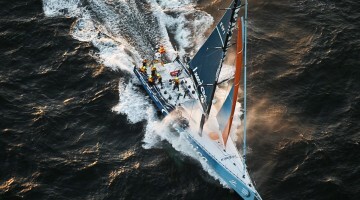 The virtual race mirrors the actual Volvo ocean race covering 8 legs over 9 months. The game has in excess of 120000 virtual boats. leg 1 is complete but we will run each leg as a race in a series and load the entrants on Hal’s racing programme as a series. The series will have 2 discards for the 8 legs to enable newcomers to join in and possibly win!!!. After the first leg the top five TBYC boats were 1st Daren Fitchew, 2nd Jeremy Sandford, 3rd Steve Healey, 4th Steve Hopper and 5th David Hopper. The next leg starts on Sunday 11th Dec 2011 so get registered and join in the banter and fun!!! Then please leave a comment on this article so we can enter you and your boat in the regatta.